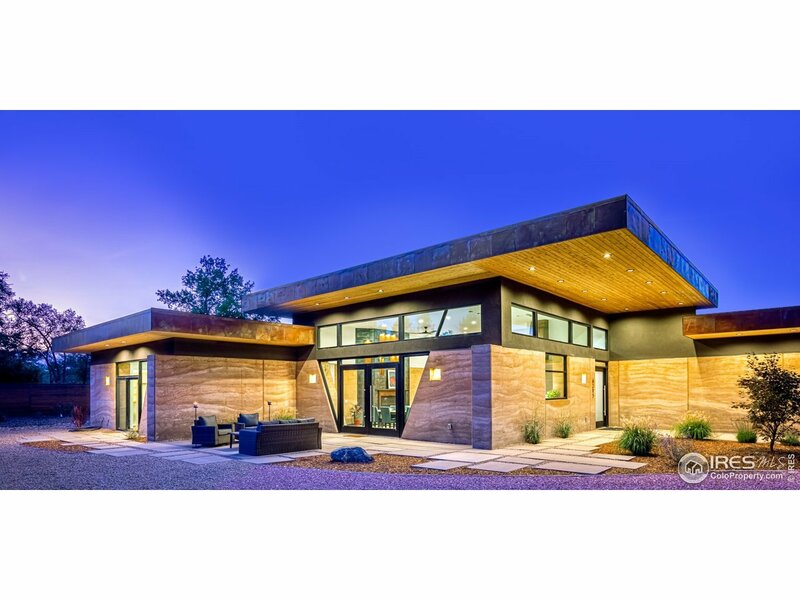 Terresen Estate is a custom, modern artisan home sitting just minutes from downtown Boulder. This sustainably designed sprawling ranch features 4 bedrooms, 5 bathrooms, a library, theater, over-sized garage and smart home integration. Viking appliances grace the chef&apos;s kitchen which sits in an open living-dining space central in the home. Radiant concrete floors coupled with thermal mass walls work to keep the home efficiently comfortable year round. Must see to appreciate.